The original Camillus Cutlery Company was one of the oldest knife manufacturers in the United States with roots dating back to 1876. The company manufactured Camillus branded knives and was a prolific contractor for other knife brands up until its last days in 2007 when the company filed for bankruptcy. Shortly after its bankruptcy, the brand name was purchased & re-launched by Acme United Corporation. The re-launch occurred in 2009 with an introduction a line of tactical knives imported from oversees manufacturing. This guide is geared toward the knives made in the United States prior to the company’s bankruptcy. Camillus Tang Stamps This link will bring you to a reference list of tang stamps used on Camillus knives. You will find pictures, dates of use, & short descriptions of most. Camillus Shields This link will bring you to a reference list of shields used on Camillus knives. You will find pictures, dates of use, & short descriptions of many of their multitude of shields. Camillus Knife Image Gallery This link will bring you to AAPK’s Camillus specific image gallery. You will find many pictures of Camillus knife patterns. We urge you to upload additional pictures to this gallery if you have some! Camillus Knife Discussion Board This link will bring you to AAPK’s Camillus Collector specific discussion forum. It’s a great place to learn or just hang out and share pictures information. Camillus Knives for sale This link will bring you to all of the Camillus knives AAPK members have available for sale. 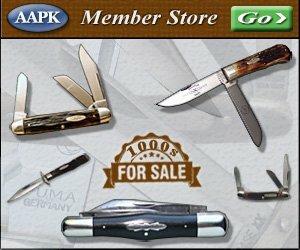 You will find a very nice selection with new knives added regularly.